I got a qoute on one with all the bells and whistles a few years ago and it was about 200 000 swedish kronor I think. That is probably about 18 000 pounds. Could work quite well over here in Sweden I think Josh. At least in the countryside. So do you have any idea if this is really your trailer being sold on again, or just a scam listing? If the seller were accepting paypal payments I could make an offer and pay by paypal, but as the seller specifies they will not accept paypal I would not risk doing a bank transfer. I assume your going to be at the APF this year? Thanks for your opinion Geoffers, you are probably right. As it is such a distance for me I will leave it to someone nearer to find out if this is real or not I think. Good morning all, a beautiful sunny bank holiday down here on the Surrey Hampshire boarders. I would rather be out in the sunshine with a nice cold beer but instead I bam in the office trying to get organised for the ARB show! And due to the response from my post I thought I had better crunch some numbers and post a reply to hopefully cover all the posts. My original design of the Riko fast Tow trailer was pre-2009 and over the years it has evolved somewhat. 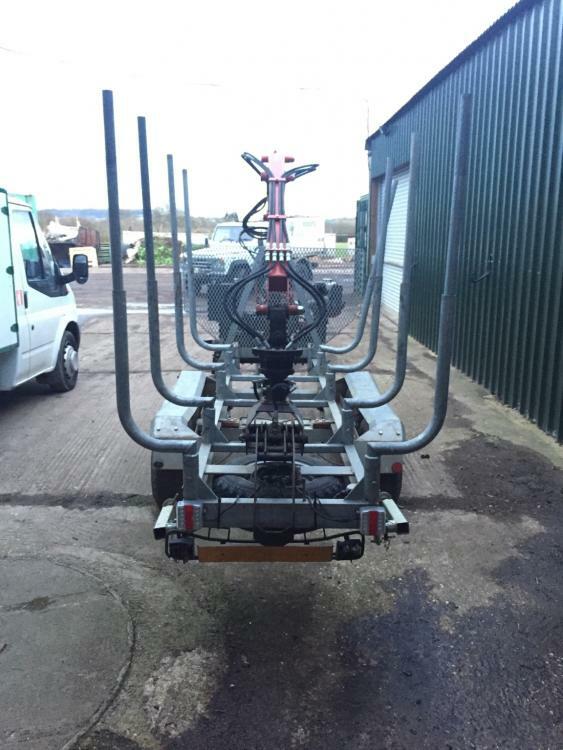 The original concept was for a 3500Kg gross weight road going trailer that could carry a small tractor to site. 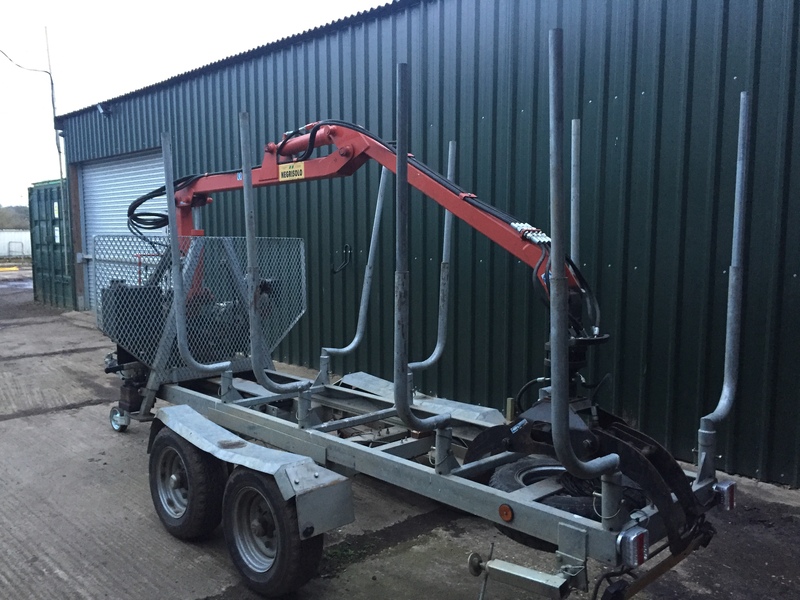 Unload the tractor, remove the 4-piece floor sections, drop in the bolsters and trundle off along the woodland / forest tracks to extract timber. The basic principle is the same now as then, the bed and crane all hydraulically slide back and forth so you can keep the axles and nose weight correct for safe and easy towing. It used ‘over-run’ drum braked stub axles on a traditional style timber trailer axle, this allowed the hitch height on the towing vehicle to vary without changing the load on the axles or the hitch. We sold a couple each year but to be honest it was pain in the arse as the design meant it was a very complicated and drawn out build and low demand prevented any volume production with related savings on build cost. It soon became apparent that the main demand was for road use in the ARB and Council sector with pretty much all road use. I therefore changed the design so a more traditional flatbed version with twin beam axles on a central rocking ‘shoe’. This axle design maintains all the benefits of the first design but reduces the overall bed height. It is still quite a complicated and drawn out build and low demand still prevents any volume production with related savings on build cost. Labour costs etc have rocketed over the past 8-9 years, as has the amount of legislation such as IVA! End result is the retail price has continued to climb at an alarming rate. 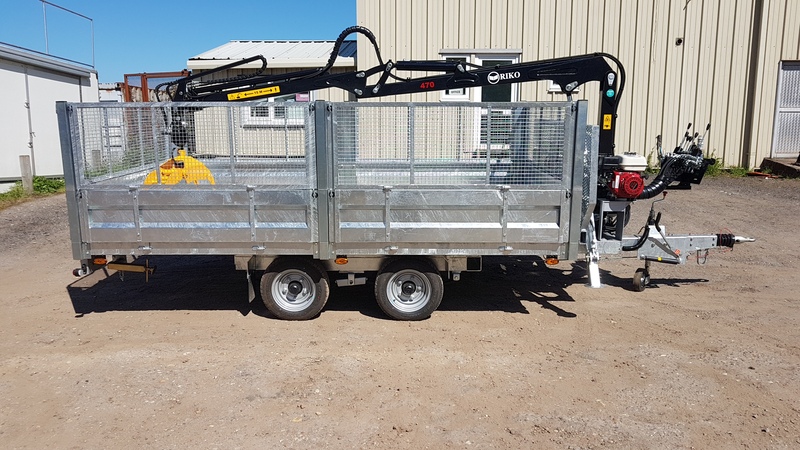 This build is a ‘full specification’ and has our latest crane so I won’t know the true load capacity until the Arb show but it should be around 2000Kg. 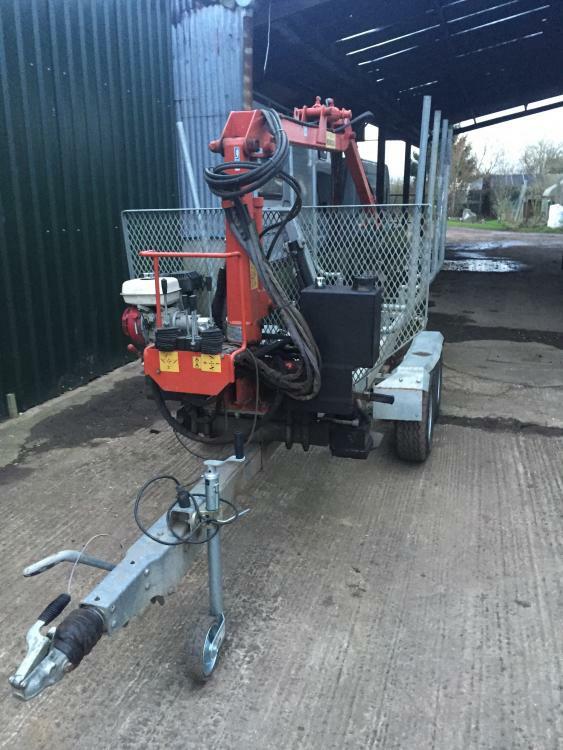 This full spec build tops out at £16,900 + vat. We can build smaller versions which increases the load capacity slightly and drops the price very slightly. We can also build a 10ft long X 5ft / 6ft wide version without the hydraulic sliding chassis. This reduces the price more but this means you cannot control the weight distribution of the load in relation to the axles and hitch. You therefore put yourself at the mercy of the old bill and VOSA. But more importantly, if you are unfortunate enough to have an accident, you run the risk of prosecution for incorrect / overweight axle / hitch loads. Or worse still your insurance company using that as a reason to not pay out. NB. Yes we will be at the 2018 APF show, as we have been for God knows how many years. Demo route, stand 40-80, same location as previous years at Ragley.